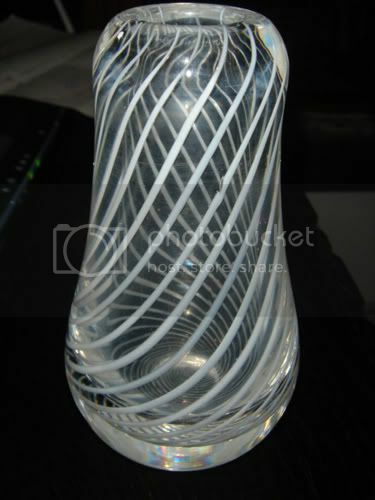 Just had this vase offered to me in a private sale with a selection of Holmegaard by a dealer in Denmark. I'll likely not go for it - my funds are focused almost solely on Holmegaard these days - but it might be nice to pass any information back to the seller as I'm getting such a nice price on the HG stuff. It's unsigned and 16cm high. I can't shake the feeling that it might be quite modern. Vetlanda - I think thats how its spelled. Ed.